Keep up to date with our e-news. Help us keep a watchful eye on ethics issues in New Mexico. Welcome to the inaugural edition of Watching the Watchers, the New Mexico Ethics Watch newsletter. We wanted to give you a brief update on what NMEW has accomplished since our launch, and give you a sense of what we are working towards this summer. On January 12th, just before the beginning of the 2017 Legislative Session, NMEW held its launch party, where we publicly announced our arrival on the good government scene in the state. The launch party coincided with the publication of our first report, Learning to Walk: New Mexico’s Anemic Financial Disclosure Regimen. Learning to Walk discussed various problems with the state’s Financial Disclosure Act, the state law that requires state officials to report on their personal finances. NMEW reported that not only does New Mexico have some of the least stringent reporting requirements in the country, the state has been lax in enforcing the requirements that are on the books. We had a nice turnout for our launch. We were pleased to see so many who are interested in working towards good government in New Mexico. During the Legislative Session NMEW was involved with the various debates concerning bills surrounding open government, governmental conduct, and a statewide ethics commission. We were pleased that news outlets in the state were interested in hearing what NMEW had to say on these issues. We were particularly pleased that Learning to Walk raised the profile of the Financial Disclosure Act and helped propel a debate on the Act in the Legislature, and played a role in the moves the new Secretary of State made to better enforce the Act. Have a look at our Press page to see how our positions were covered. This recognition of our work is gratifying, especially as it demonstrates that NMEW can help to advance the conversation on ethics in the state – which means that we are helping your voices--the voices of those in the state who are concerned about good governance--to be heard. Our work has only just begun. We are beginning a public education drive to inform New Mexicans about the proposed Ethics Commission that will be on the ballot in 2018 – and are beginning our education campaign requesting that the Legislature develop the enabling legislation for the Ethics Commission before the November 2018 vote. As word of our work has spread, NMEW is starting to field tips about questionable activity in various state sectors. If you have a tip for up, or know someone who might,let us know by emailing tips [at] nmethicswatch [dot] org. We will be launching a fundraising drive this year, and plan follow-up work on the Financial Disclosure Act. We also will turn an eye to the Lobbyist Regulation Act – yet another area of state law that needs significant reform. We are drawing up plans for outreach events throughout the state. And we will continue to keep a watchful eye on the workings of state agencies and state government throughout New Mexico. To close, I wanted to share a quick note about this newsletter’s title. Watching the Watchers derives from the question asked since classical times, known best in its Latin formulation, Quis custodiet ipsos custodies – Who watches the watchers? Since the first stirrings of democracy in ancient history, political philosophers have struggled with this question. 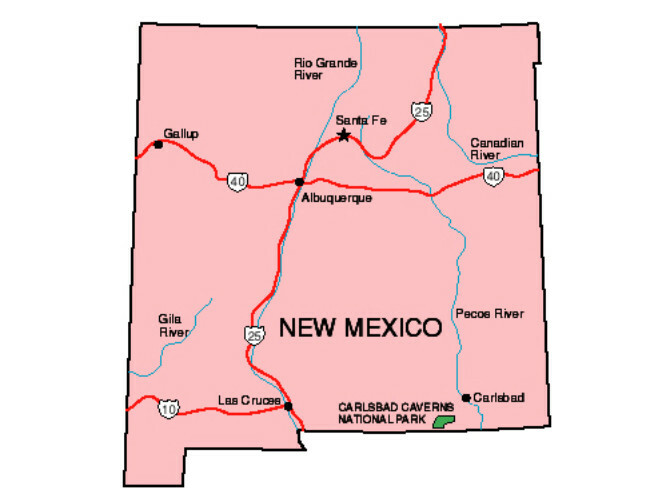 In New Mexico, NMEW is one of the sets of eyes on state and local officials. For as is often said, eternal vigilance is the price of liberty. Thank you for your support for NMEW’s work. Please spread the word about NMEW and our work to your friends, colleagues, and anyone else who is interested in good government and ethical governance. Sign up for our Twitter feed or follow us on Facebook and ask your friends to do the same. Please let me know if you have any questions about NMEW’s work and activities. I would welcome the opportunity to talk about our plans. And please let us know what you think about this newsletter! 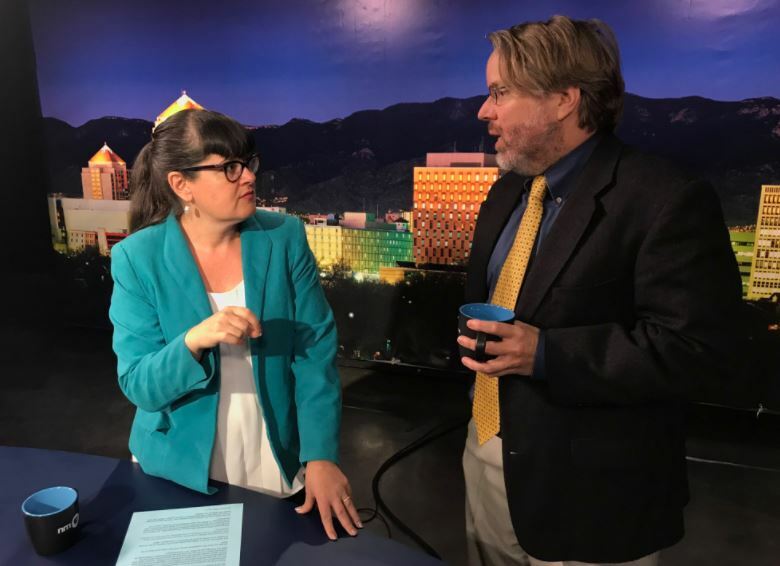 On June 9, watch for the New Mexico Ethics Watch Executive Director, Douglas Carver, speaking with Gwyneth Doland on the New Mexico PBS broadcast, New Mexico In Focus. Douglas will challenge lawmakers to present voters with legislation to accompany the proposed Constitutional Amendment establishing a statewide Ethics Commission prior to the proposed amendment appearing on the ballot in November 2018. If you missed Douglas speaking on the Richard Eeds radio show in May, where he discussed these and other issues, you can listen to the podcast here. 1. Should a State Ethics Commission investigate complaints against all elected lawmakers? 2. Are you comfortable with the Legislature being able to change a Commission's power or scope? 3. Should voters know the powers and scope of the Ethics Commission before the Nov. 2018 vote? This summer, NMEW intends to travel around the State to meet with people interested in promoting open, accountable, and ethical government at a state and local level. If you would like us to visit your town, or are interested in participating in a related panel, training, or event in your region, please let us know. Your support is critical to helping us in our mission. 1) BY CHECK (preferred): You can send a check made out to the New Mexico Community Foundation, with “donation to NM Ethics Watch” written in the memo line. Checks should be mailed to the New Mexico Community Foundation at 135 W Palace Ave, Suite 301, Santa Fe, NM 87501. Donations to NMEW through the New Mexico Community Foundation are fully tax-deductible. You will receive an acknowledgement from them for your tax records. Once NMEW achieves its independent 501(c)(3) status, donations will be able to be made directly to us. But for now, we are ever so grateful that the New Mexico Community Foundation is helping us to raise the ethical bar in New Mexico.